Thom Rainer and Eric Geiger researched more than four hundred evangelical churches to see some differences between growing, vibrant churches and nongrowing, struggling churches (p. 13). The message of the book is found in what the authors call the “elevator conversation: The vibrant churches were much more simple than the comparison churches” (p. 13-14). They call this a “simple” revolution (p. 8), and concluded that “church leaders need to simplify” (p. 4). After sharing a few examples from everyday life of how the simple revolution has begun in other areas, outside the church, they weave in a comparison of “First Church” and “Cross Church” throughout the book as they describe the process of simplifying church. This process includes four elements: “Clarity, Movement, Alignment, Focus” (p. 68). Throughout this process, they include results from a “Process Design Survey” that they developed to see if there was “a relationship between being simple and being effective” (p. 63). In Chapter four, they included three stories of real churches that are both simple and effective. Chapters five through eight further developed the four elements of the process. The final chapter was an encouragement to become simple – “to change or die” (p. 229). They did indicate that the change would be complicated (p. 229, 236). They introduced four steps to make a church more simple, each step associated with one of the four elements. In a postscript, they shared some further lessons learned since the publishing of the first edition of Simple Church, and finally, in two appendices, shared “frequently asked questions” and the research methodology. The book is simple. It better be! It reads easily, and there is a consistent use of the First Church and Cross Church examples, to help describe what Rainer and Geiger were seeing in their research. They also focus much more on lessons and solutions seen from the research than on the research itself. Interestingly, they evaluate the book themselves in the postscript, and they call it a “nerdy research project.” (p. 243) I would definitely disagree. They criticize their own book for being full of “insider language,” and say that they wrote it for pastors and church leaders. (p. 243). That may be true, although I didn’t think that when I read it. I think they adequately explain their terminology throughout the book. My buddy, another pastor, recommended this book years ago. I’ve talked with other friends about this book so much, that I thought I had already read it! I’m pretty sure I even lied somewhere along the way when someone asked if I had read it. I really thought I had. I hadn’t though, and I’m very glad I finally did. It really should be required reading for pastors. Again, probably because of the second- and third-hand influence of this book already on my ministry, I have attempted to implement a number of things that Rainer and Geiger talk about. So, I was able to read the book and say: “oh, yeah, I do that, or we do that.” But, when I think through why we do that – it’s because of hearing the premises of Simple Church preached by others. To be honest, this caused something of a feeling of déjà vu. Now, I know I hadn’t read the book – I didn’t remember any of the stories – but I was very familiar with the concepts. We have greatly simplified church in Poland. This is probably easier to do anyway here than in the States. However, although it’s good we have simplified, I saw a number of ways that we haven’t followed through on a couple of key elements in the process. Namely, although we have clarity and focus, we don’t really have alignment and movement. In other words, we know what we are to do – make disciples and engage them in “near” communities (sounds better in Polish), and we aren’t distracted any more by doing things that don’t fit. However, we have a disconnect between the evangelism/discipleship portion, and the involvement in communities. We are missing a vital link. We have attempted to make the communities the means of evangelism, discipleship, encouragement and service – but that hasn’t worked as well, either. Thankfully, we are in better shape than we were. At least we are simple, and don’t have to eliminate programs. It was encouraging to read this book, and realize that we are actually faced with the much different, and easier, challenge of tweaking or even adding a little to make sure we are achieving our goal. This is really where Simple Church will help us. We didn’t start by eliminating; that really was as a result of trying to determine what we wanted to accomplish, and what wasn’t helping us accomplish that. However, I think we missed a couple of middle steps along the way, and this book will help us think through and plan those steps. On a more personal note, often it is tempting to envy ministry in the U.S. There are resources and a worldview that are completely different from what we experience here in Poland. And yet, I am familiar enough with American ministry to know that my likelihood of being in a simple, growing, effective church are not guaranteed, and I have a hard time imagining the life that Geiger and Rainer describe for the employees of “First Church.” When would I have time to grab a coffee with someone who is asking about Christ? How could we ever just go hang out with our seeking friends? There wouldn’t be time to help the foreigner, oppressed, or poor person. And – I think it’s bad now, having to preach three times Christmas week. What would I do with the kind of Christmas program that Rainer and Geiger refer to, requiring planning and practices starting in September, causing total burnout among church staff until March? This post will focus on the last two elements of that strategy. Relationship has two aspects – relationship with God, and with others, or community. In the Matthew passage, Jesus shows that people can do mighty works in His name, yet never have a relationship with Him. They say, “Lord, Lord,” and He says “I never knew you.” We all have a desperate, created need for personal relationship with God. It is this intimate knowledge of Christ that allows us to take our focus away from the amazing works done in His name, and onto the hearing His words and doing what He says. Jesus also proclaims His presence with us when we are together. “For where two or three are gathered in my name, there am I among them.”  This communion of at least two or three is an irreplaceable part of our relationship with Christ. We sometimes take Mt. 18:20 to mean “at least two or three”, and Jesus may have had that in mind, but perhaps He meant exactly what He said – two or three – the basic building block of community. In that small, basic community unit we have a real chance to see life-on-life witness and obedience-based discipleship with a true opportunity for application and accountability. As two or three people interact with one another, in real life situations, they can quickly see action and reaction, speak into one another’s lives, and experience true transparency. When we read Christ’s words from Mt. 7:16 about fruit inspection, we see how much more workable this becomes in an intimate group setting. In addition, as we understand what a contemporary European, a “secular Christian,” thinks about church, we can see that the small, core unit may be the only way to woo him to Christ. He thinks that church is a big, old, empty building; or a political system that is hopelessly out of touch; or a gang of mutually enabling pedophiles; or – at best – a group of well-meaning, but naïve individuals. The idea of the Church being family, or a squad of fellow warriors, or a trio of bff’s (best friends forever) has never occurred to him. Relationship with Christ and one another, in community, relies on the indwelling, transforming work of the Holy Spirit. A strategy for winning “lay liberals,” though, is also dependent on the power of the Holy Spirit, the final component of our strategy. When we include the power of the Holy Spirit as a key element of our evangelism strategy, we give more than lip-service to Him, and He becomes more than just a spiritual magic wand to make sure we include God in the midst of our hard work to win the world for Him. We actually may need to re-learn the reliance on the Holy Spirit that our grandfathers possessed, but mothers and fathers lost through a poisonous mix of reason and science, charismatic frauds, and unbiblical reactions. Of course, the Holy Spirit is far more than just another alternative ghost. He is far more than a cosmic Force that enables His Jedi to manipulate reality. Reliance on His leading in our lives, and on His power to change others’ lives, gives us boldness, though, to proclaim His existence and demonstrate His powers of healing and transformation. In conclusion, although Europe is faced with a rising tide of secularism, it still hangs on to the vestiges of Christianity. But it’s not enough to be a “Golden Rule Christian.” We must enter in at the narrow gate, and we are called to be faithful teachers, who call others to squeeze through that tight passage onto the unpopular trail toward life. In total reliance on the Holy Spirit, operating in transparent community, we live and proclaim an obedience-based discipleship that can be freely examined through our life-on-life witness. Instead of relegating the Bible to a book on the shelf, between Voltaire and Nietzsche, we boldly acknowledge it as our life authority. Hearing and doing Jesus’ words, we become wise builders, not only of our own lives, but of a new form of radical Christ-following that can be both attractive and challenging for nominal Christianity. The Holy Bible : English standard version. 2001 (Mt 18:20). Wheaton: Standard Bible Society. Of course, these elements are present in any good strategy of Christian witness – and have been ever since Pentecost. However, the application of such elements may be significantly different among “cultural Christians” from what it would be among tribal animists. It may be very tempting at times to avoid this point of our strategy. The average European practical atheist does not see the Bible as authoritative. So an attempt to bring the Bible into everyday conversation may be seen as fanatical, or at least weird. However, many Europeans think they know quite a bit about the Bible (even if they’ve never read any of it), and are more than willing to share their opinions. When we honestly and consistently refer to the Bible as our authority, we can work in an almost subversive way to change the way our nominal friends consider the Scriptures. Of course, a one size-fits-all approach, which ignores the vast differences between various countries, will be inadequate. Whereas in France or the Czech Republic it may be rare to find someone who has heard the Bible read – let alone read it for herself – the average Pole, Greek or Croat has probably heard the Bible read many times in church, and likely has read a portion on his own, as well. We must first model such a discipleship in our own walk with Christ. We should not expect others to follow Christ whole-heartedly, when we ourselves do not make Him Lord of our lives. When we work as a wise builder, though, we build a life that can weather storms, and we show to others a storm-proof life. Obedience, doing that which we hear from Jesus (Mt. 7:24), is a vital component of discipleship. In fact, it may be the one totally necessary ingredient in making disciples. After all, Jesus tells us in Mt. 28:20 that we are to “teach them to obey everything I have commanded you.” James 1:22 reminds us that a true disciple of Christ is a doer of the word, not only a hearer. Unfortunately, we have usually placed a far greater emphasis on hearing the Word. We have frequently unwittingly re-written the Great Commission to read “teaching them everything I have commanded you,” and left out the emphasis on behavior and practice. Especially in the West, we could probably scale back on the knowledge in exchange for a greater emphasis on application, action and accountability. A couple of years ago, I was in a conference with others involved in theological training from around Europe. The presenter showed Mt. 28:20 on the screen, but left out the words “to obey.” He then asked us what was missing. No one caught the omission! We all thought, at first glance, “teaching them everything I have commanded you” was correct. Oops! Obedience, life application and accountability must be part of our discipleship. Obedience-based discipleship, especially in the confrontation of accountability, is most effective in relationship and community – the fourth element of our strategy, coming up in part 7. As we begin to consider a strategy for reaching nominal Christians in Europe, we should first return to the Lausanne Committee’s work from 1980. Although this occasional paper is over 30 years old, it still gives us a good starting point. The paper focuses on nominal Christians among Roman Catholics, and as a result some changes would need to be made in light of the fact that 1.) a large number of Europeans identify with some other church and 2.) for all Europeans, identification with a specific church is less important than it was even just 30 years ago. “Correct attitudes” primarily refers to an attitude of love and humility toward Roman Catholics. Both are certainly needed, but of course, not exclusively toward Roman Catholics. Since church affiliation is increasingly less important, as is identification with a particular set of beliefs, perhaps a better, more contemporary strategy would be to search for, recognize and affirm ways in which God is speaking into the life of every individual, whether a nominal Catholic, Evangelical, or Anglican, or a secular, materialistic atheist who is still searching for meaning in life. Further components of the strategy outlined in the Thailand paper are: consistent life-style, one that demonstrates growth, witness and caring; community and interaction, emphasizing the Body of Christ and Family of God; and practical applications and solutions, where once again being a doer of the Word, and not simply a hearer is highlighted. Taking Jesus’ words into consideration, leaning on an understanding of what we know about “secular Christians,” and even using the Lausanne occasional paper as a starting grid, an effective strategy for seeing nominal Christians transformed by Christ must include the following elements: the Word; life-on-life witness; obedience-based discipleship; relationship and community; and the power of the Holy Spirit. Of course, these elements are present in any good strategy of Christian witness – and have been ever since Pentecost. However, the application of such elements may be significantly different among “cultural Christians” from what it would be among tribal animists. In the next posts, I will expand upon those elements, with special application to the case of Europe and nominal Christians. In Part I and II I looked at Matthew 7:13-27 as a beginning point for looking at “nominal” Christians, and in part III, a definition of a “secular” or nominal Christian. 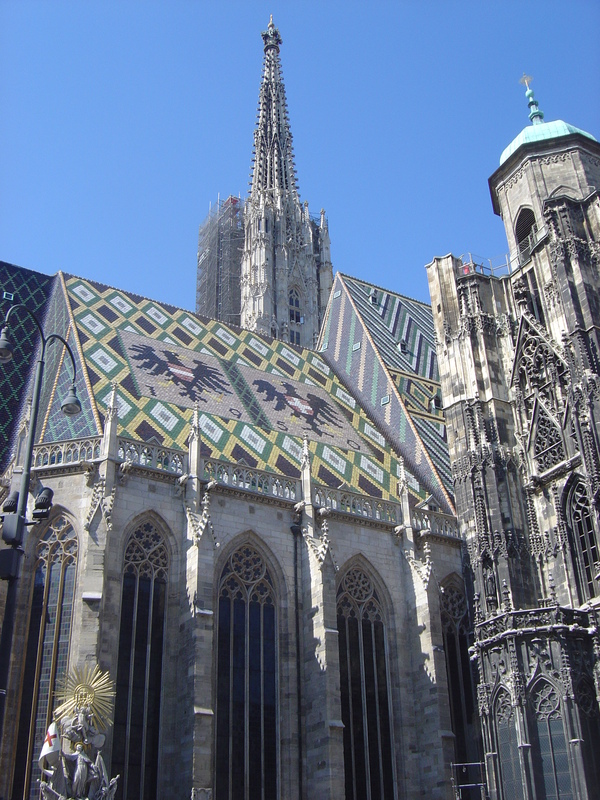 In this post, I will look a little more closely at “secular” Christianity in Europe. In “Recognizing Secular Christians,” Voas and Day point out that, despite the rise of secularism, “many people remain interested in church weddings and funerals, Christmas services and local festivals. They believe in something out there, pay at least lip service to so-called Christian values (mostly concerning duties to others rather than duties to God), and may be willing to identify with a denomination.” Most people in Europe can still specify their religious background, and, depending on the wording of the question, will choose some Christian affiliation. In fact, these nominal Christians comprise more than half the population in most European countries. With the waning of religious influence in Europe, though, religious identity has remained, but a religious worldview has disappeared. Usually, a Christian worldview has been replaced by a secular worldview. Many Europeans still believe in God, but He is now a much more distant God. Although most Europeans would still not define themselves as atheist or materialist, they have become “practical atheists and materialists.” Of course, once again, there is a wide range of belief across Europe. Western Europe, especially France, is frequently cited as equivalent to all of Europe, and non-Europeans picture a secular, godless society – a picture that is abominable to most Poles. So, although secularism is certainly on the rise, all across Europe, there remains a majority of Europeans for whom God has some importance. Even the Church, although perhaps limited to weddings, baptisms, and funerals, still functions as a part of their lives. In the light of Jesus’ words, though, some importance is not enough importance. In fact, the path where God has some importance seems to be the broad road to destruction, the crowded highway to hell. Religious leaders who don’t conscientiously warn their parishioners of the danger at the end of that road should take a close look at their sheepskin robes, and make sure the wolf pelt isn’t peeking through. Of course, the words of Jesus are not reserved for a nominal Roman Catholic, Lutheran, Orthodox or Anglican. There was no brand name attached. In fact, Jesus indicates that some might even work miracles in His name – and yet never know Him. Such a description may even better fit some Evangelicals than the aforementioned denominations. And, in truth, what would be the point of converting a nominal Catholic into a nominal Evangelical? Jesus is expecting a radical life change, squeezing through the narrow gate, climbing the black (difficult) trail, building on the hearing and obeying of His commands – a life characterized by a living, intimate relationship with Him, not by affiliation with a denomination, mental assent to a set of beliefs and periodic church attendance. In the next posts we will begin to look at strategies for life-transformation of nominal Christians. If you are in Europe, how would you describe the “nominal” Christian in your country? In Part I and II I looked at Matthew 7:13-27 as a beginning point for looking at “nominal” Christians, or (borrowing D.A. Carson’s term) “small-dose” Christianity. Three dollars’ worth of God is a pretty small dose. Yet, such a picture appropriately describes the nominal Christian. The nominal Christian identifies himself as a Christian, but this identification does not have a great deal of impact on daily life. The phrase “secular Christians” can be applied to the most important component of the broad intermediate group. These are people who call themselves Christian, but who for all practical purposes are secular. They live in a world centered on their social relationships, in which God has no everyday role. They do not expect God’s help, fear God’s judgment, or believe that things will happen God willing. They are indifferent to religion for the good reason that it gives them nothing of practical importance. In their article regarding the “unexcluded middle,” David Voas and Abby Day contrast such secular Christians with “religiously committed Christians who identify with a church or denomination, believe in God, and attend services with some frequency.” In the light of Jesus’ final words from the Sermon on the Mount, however, such a definition of a committed Christian is much too anemic. The Lausanne Occasional Paper 10, Christian Witness to Nominal Christians Among Roman Catholics (1980) says, “The heart of true Christianity is being a disciple of Jesus Christ in the terms of faith, love, and obedience.” Such a definition is much closer to the picture of the wise builder who has entered through the narrow gate. A nominal Christian is a person who has not responded in repentance and faith to Jesus Christ as his personal Saviour and Lord. He is a Christian in name only. He may be very religious. He may be a practising or non-practising church member. He may give intellectual assent to basic Christian doctrines and claim to be a Christian. He may be faithful in attending liturgical rites and worship services, and be an active member involved in church affairs. But in spite of all this, he is still destined for eternal judgment (cf. Matt. 7:21-23, Jas. 2:19) because he has not committed his life to Jesus Christ (Romans 10:9-10). (5) lost souls won to Christ (Rom. 1:13). In the next post, I will try to describe “nominal” Christianity in Europe in more detail, and summarize the Lausanne plan for reaching nominal Christians. In the final 2 parts, I will attempt to bring together the Matthew passage, what we will see about secular Christians in Europe, and the Lausanne plan as the basis for a strategy for reaching our “Christian-in-name-only” friends and neighbors. As always, questions, comments, or corrections are welcome!! Wiersbe, W. W. (1997). Wiersbe’s expository outlines on the New Testament (36). Wheaton, Ill.: Victor Books.